Russia’s Gazprom says it will increase gas exports to Europe by 5 to 8 percent to 160 billion cubic meters in the next three years, and thus remain the largest gas supplier in Europe. Deputy CEO Aleksandr Medvedev said the company expects exports to Europe to increase by 8 percent by 2017. Talking at an investor day in Hong Kong he said the volume of gas sold could reach 155-160 billion cubic meters. "Given the continuing gradual reduction of gas production in Europe, Gazprom supplies to European countries are expected to be restored in the mid-term and will be about 155-160 billion cubic meters per year," he said. Gazprom exports fell by 9 percent to 147 billion from 162.7 billion cubic meters in 2013. The average price of Russian gas sold in Europe, excluding the Baltic and CIS countries, fell to $341 per thousand cubic meters from $385 in 2013 and $403 in 2012. However, Gazprom plans to remain the largest supplier of gas to Europe, keeping its share at 30 percent, or even increase it, said the head of prospective development Dmitry Lugai, as quoted by RIA. According to the company’s forecast, European gas demand will increase, due to a slowdown in the development of nuclear energy and an increase in the number of gas engine vehicles. "The gap between the demand for gas and its production in the region can reach about 400 billion cubic meters per year by 2030. At the same time the need for Europe to import gas will be provided mainly by pipeline supplies from Russia, Norway and Algeria, as well as through LNG supplies," added Lugai. In addition, Gazprom plans to no longer buy 10 billion cubic meters of gas from Turkmenistan and Uzbekistan, replacing it with Russian gas, he added. "Provided there are favorable economic conditions over the next 10 years, Gazprom has the significant potential to increase gas production to 550-650 billion cubic meters," he said. The company plans to increase the volume of liquefied natural gas (LNG) to 25 million tons per year by 2025. Gazprom said it is discussing raising long-term loans from several banks, including those from China and other Asian countries, and has no plans to change its dividend policy in response to the crisis. "No change in dividend policy is expected. The board has decided to maintain the level of dividend payments at 25 percent of net profit under Russian accounting standards," said Gazprom’s Head of Finance Andrey Kruglov, as quoted by RIA. The dividends of Gazprom have increased by 20 percent since 2013. 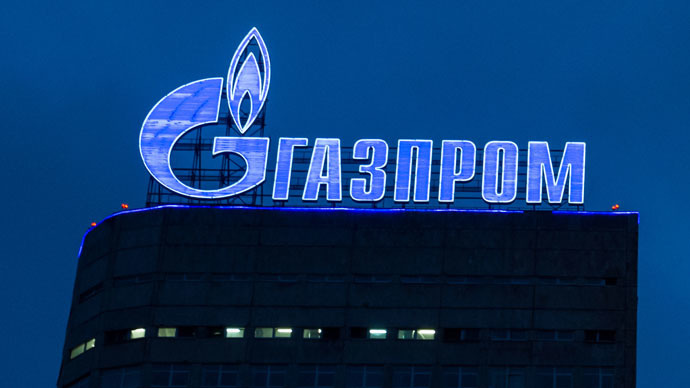 The draft budget of the Russian Federation for 2015 expects $1 billion, or 68.8 billion rubles from Gazprom.